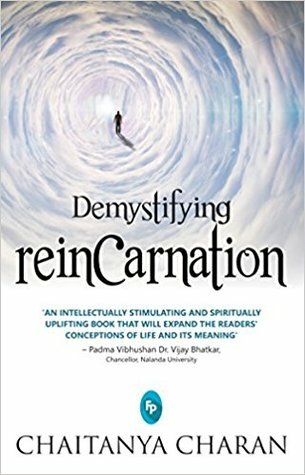 Demystifying Reincarnation explores questions of our identity and destiny scientifically, historically and philosophically. Scientifically, pioneering researchers have documented fascinating cases of: Children who recollect past lives, giving details that they had no normal way of knowing. People who, despite being medically unconscious, were conscious of their vicinity and beyond. Historically, the principle of reincarnation has enjoyed acceptance in most parts of the globe throughout the ages—a list of its advocates looks like an intellectual who’s who of world history. Philosophically, reincarnation is the bedrock of a profound world view that reflects our intuitive sense of justice, our innate need for hope and our universal longing for immortality. Demystifying Reincarnation expands our understanding of what it means to be human and reveals new horizons for our deepest aspirations. Chaitanya Charan is a mentor, life coach and monk. Building on his engineering degree from the Government College of Engineering, Pune, he complemented his scientific training with a keen spiritual sensitivity. for over two decades, he has researched ancient wisdom-texts and practiced their teachings in a living yoga tradition. Author of over twenty books, he writes the world’s only Gita-daily feature (gitadaily.com), wherein he has penned over two thousand daily meditations on the Bhagavad-gita. Known for his systematic talks and incisive question-answer sessions, he has spoken on spiritual topics at universities and companies worldwide from Australia to America. 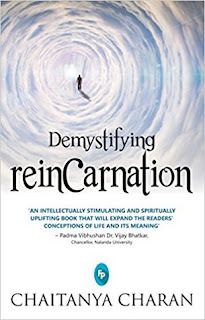 Though I had grown up listening to stories of rebirths, reincarnation and other such things, I never paid serious attention to it all till the time I read Dr. Brian Weiss and his highly acclaimed book on reincarnation. Since then that has been something very close to my heart, making me want to unravel the secrets my past life holds and trying to simplify the current life in order to ensure the cycle of karma ends. However I still had a lot of questions coming to my mind which unfortunately none could answer. When I received this book I was curious more than excited as I hoped this book would solve my questions. And yes, it did to the perfection. If there is any book that can come anywhere close to Dr. Brian Weiss's book on reincarnation for me then it has to be this one. Such in-depth explanations and detailed answers with examples making it completely believable that you will end this book feeling surreal. The first chapter gave goosebumps to me and as I progressed they just kept on multiplying. His lucid language with accurately strong narrative makes it enthralling read. Moreover another interesting aspect was the way the author has taken beliefs/myths/traditions across religions and talked about them at great length. That segment made me realize how at the core of it all we are same, flesh and blood. And if you think beliefs set us apart then you need to read this segment without fail! As a kid I remember being called a "fattu" as I used to be scared of ghosts and refuse to enter any dark, unlit area because of it. But the way the author has discussed this theory at length towards the end of the book made me address my fears in a more respectable manner than despise it. I used to always feel my fears are wrong and misplaced, but never knew why. That why has been convincingly explained by the author in that portion. Over all an amazing book with practical examples of living people around us who have experienced it making you believe in the magical creation of God - life. I would recommend it to all to understand life more closely. Hats off to the author for simplifying such a complex thing so beautifully and making it an enjoyable read. 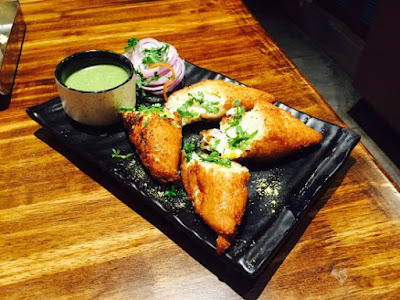 This book is like dahi ke sholley- amazing combination of bread, curds and spices making it delectable in every bite!